I read a total of 207 books last year. 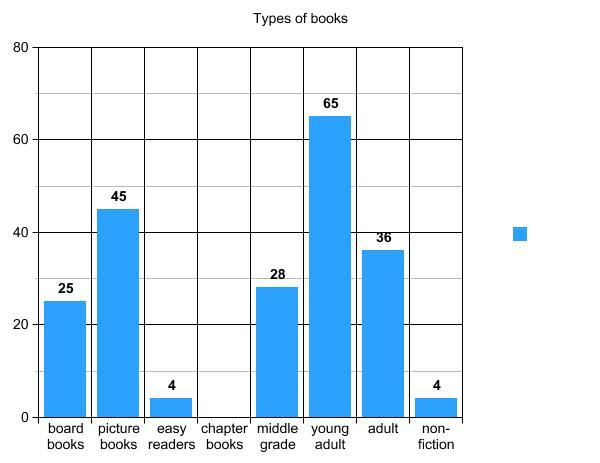 Nearly a third (68) were young adult books, and another third were board books and picture books (25 and 45, respectively). Middle grade novels (28) and adult novels and stories (35) each made up another sixth of what I read last year. I also read a handful of easy readers and non-fiction books (4 each). 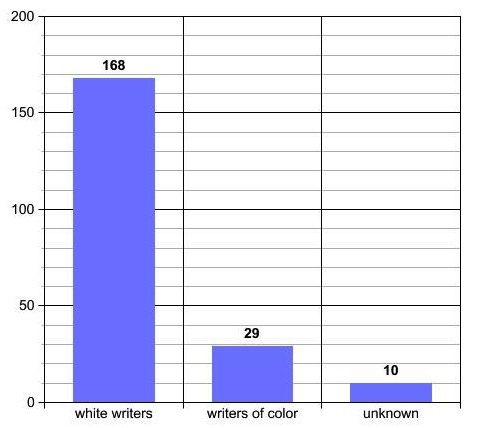 80% (169) of the books I read last year were written by women, but only 14% (29) were written by writers of color. 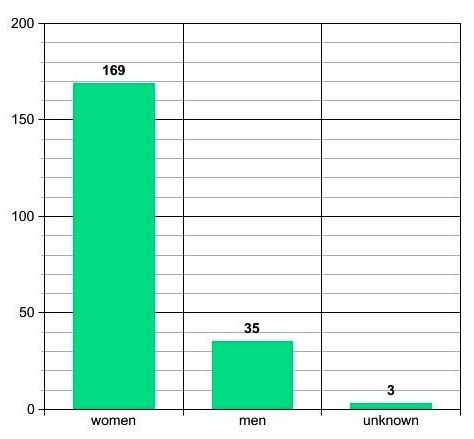 I’m not terribly concerned that only 20% of the books I read were written by men; there are plenty of people with much more influence than I do that seem to read and talk about only male writers, so it can’t possibly hurt for me to read and talk up female writers. In fact, it’s clearly still needed. Also, I’m probably still balancing out what I read when I was younger. That 14% does concern me though, especially considering what I do. My reading and talking about that low a percentage of authors of color doesn’t just impact my circle of friends and what they read, it means that when I do reader’s advisory, when I create book lists and displays, and when I order books for the library, the vast majority of the books that come to mind will be by white writers. Even if I try to do searches and peruse recommended lists in order to make these all more balanced, the titles I find that way are not going to take emotional priority or stay in my head the way that the books I’ve actually read will. Which means that I’m not doing my job and that I’m failing the children I’m supposed to serve. So my goal for this year is to double that percentage, for at least one third of the books I read this year to be by a writer of color. I hope to eventually increase that number to an even larger percentage, to better match the demographics among children in the US. But I also know that only 10% of the children’s books published in the United States are written by an author of color, and I don’t know at what point (if ever) that reality will begin to make such goals difficult. And for this year (because of my time and budget) I wanted to start with a goal that I know is easily doable. Some kids are afraid of monsters hiding in their closet. Not Louis. He doesn’t worry that something might be in his closet, he already knows that the Big Bad Wolf lives there. This causes all sorts of problems, of course. 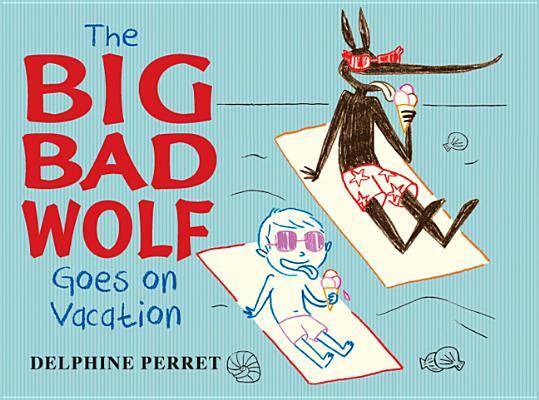 Including the Big Bad Wolf insisting that he be taken along when he overhears that Louis is going on a trip with his grandfather. 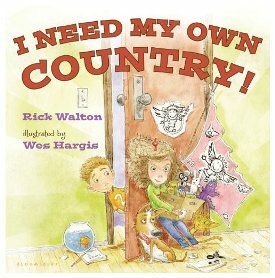 Silly, unique, and sarcastic, this is one of the rare picture books that works better for older children rather than little ones. 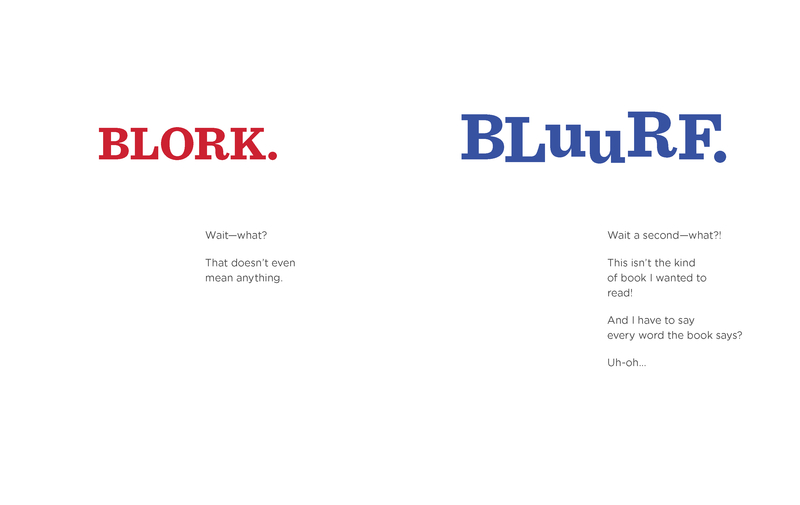 New readers may need help with the words, but can easily follow the pictures and will feel accomplishment in the use of chapters. 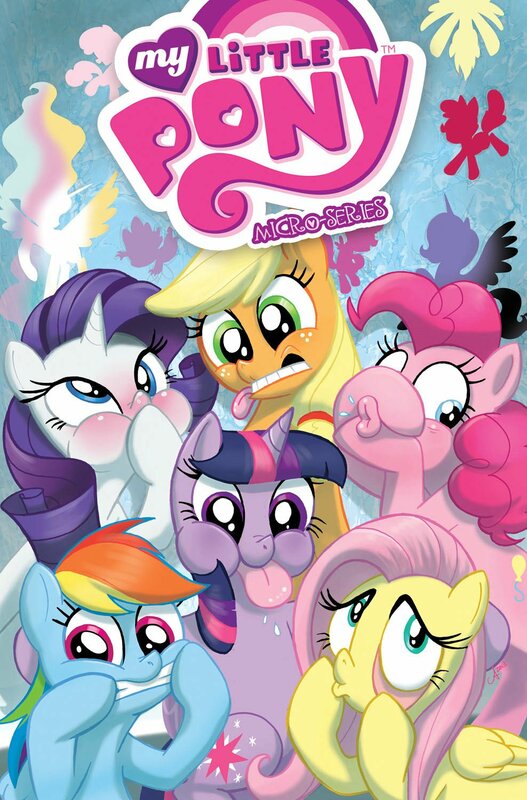 Older readers will find the comic like structure challenging but fun. Perret’s minimal sketches allow for personality and variation, but are uncluttered enough to keep their repetition from becoming chaotic or confusing. Little brothers can be such a pain sometimes. That’s when you need to take charge, and make a country of your own. One he can’t join. Hargis’s illustrations are well done, but the actual story is one of those that seems more for adults than for kids, who likely won’t be quite as entertained by this book as their parents will be. Evening slowly turns to night, as readers take a walk trough a friendly neighborhood. Part of what makes Cooper’s books work so well is the way the illustrations giver personality to the text as the words explain the mechanics of farming, a day at the beach, or how ice cream is made. 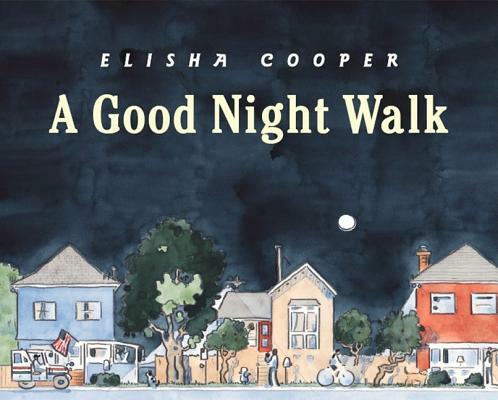 While the illustrations here are wonderful, and the text is soothing, the two don’t work together in quite the way they often do in Cooper’s other books – they repeat rather than adding different information. Are you as quick as a cricket? As happy as a lark? Or perhaps you are as strong as an ox. Or maybe, like our narrator, you’re all of these things, depending on your mood. 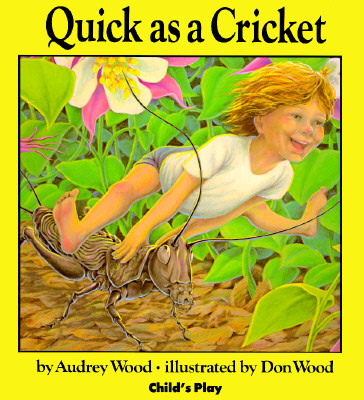 With simple similes and rich illustrations, Don and Audrey Wood introduce young readers to a world rich in nature and imagination, as well as the idea that they can be more than just one thing. This book is a classic for a reason; the sentences are lyrical and the pictures creative, while the message is both simple and profound. A tiny bug takes a walk, but he’s not alone for long. 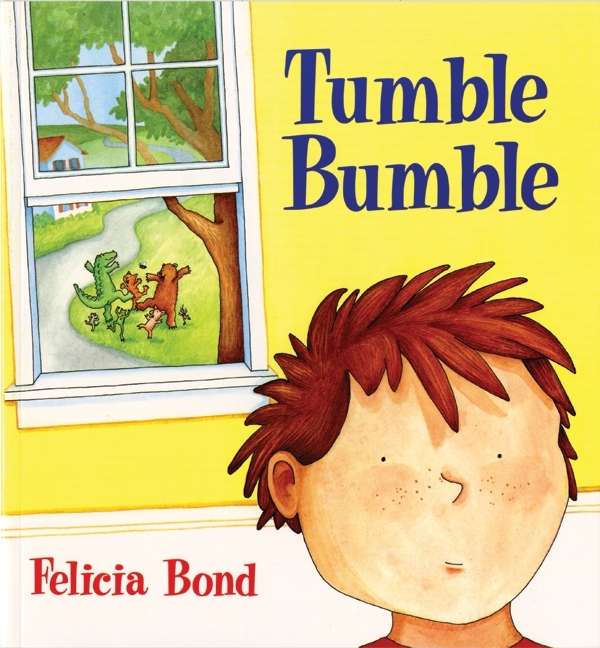 Soon a while parade of critters joins him as they tumble bumble through the neighborhood – and into someone’s house! Felica Bond is a whiz with subtle shades of color and engaging characters, as anyone who as seen her artwork for the If You Give a Mouse a Cookie series knows. 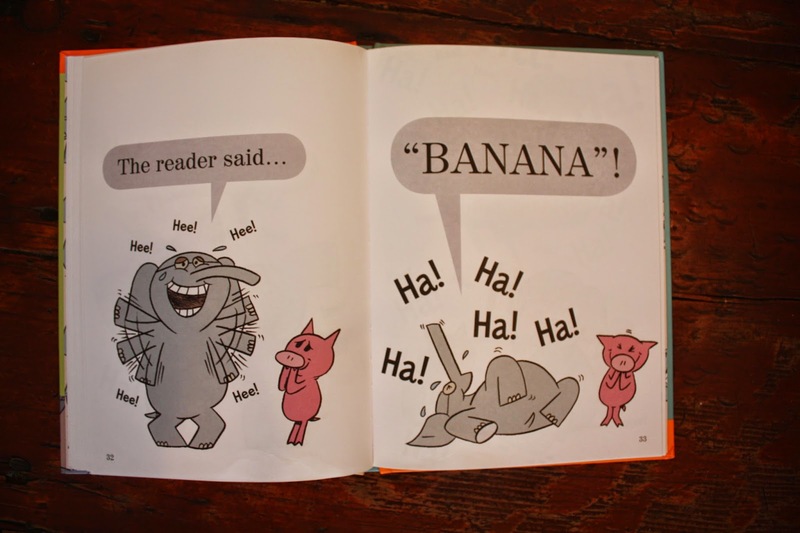 It turns out that she’s really great at rhymes and humor as well, making this book a classic story for little ones. When Samantha asks her brother to make her a sandwich, Sam agrees – and decides to make her one with all the fixings. 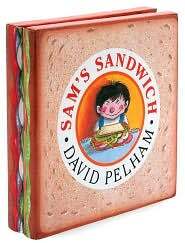 The design of this book is rather clever and cute, and if it was just a story about a sandwich with creepy crawly things in it, I would love it. 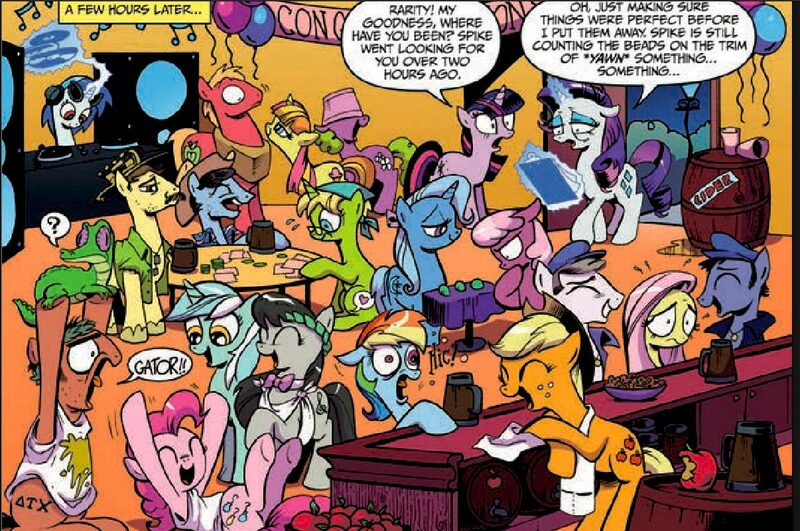 The characters are both incredibly annoying though, as are the gender stereotypes they perpetuate for no reason.